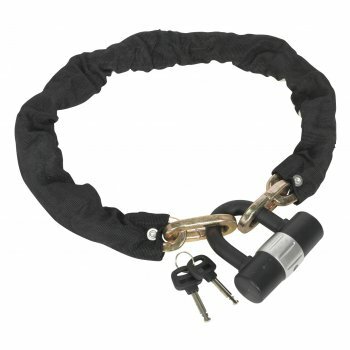 Heavy-duty 12mm square link chain, fitted with durable nylon sleeve for avoiding accidental scratching and damage to the bike. 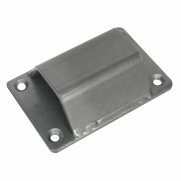 Features extra-long 12mm thick shrouded shackle with anti-drill, anti-saw and anti-pick protection on the locking cylinder. 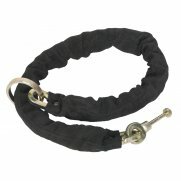 Warranty: 1 YearHeavy-duty 12mm square link chain, fitted with durable nylon sleeve for avoiding accidental scratching and damage to the bike. 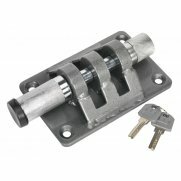 Features extra-long 12mm thick shrouded shackle with anti-drill, anti-saw and anti-pick protection on the locking cylinder. Supplied with 2 keys.